I LOVE pesto! I try to make a big batch every summer with our container basil harvest. Pesto is wonderful on pasta. 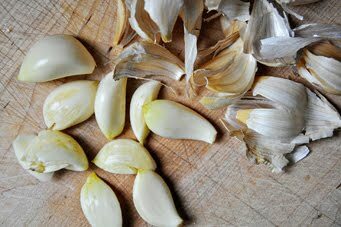 But, I use it more often as a garnish for things like grilled chicken, hamburgers or pizza. And, best of all drizzled over a Caprese salad. It is so full of intense flavor, that a little goes a long way. 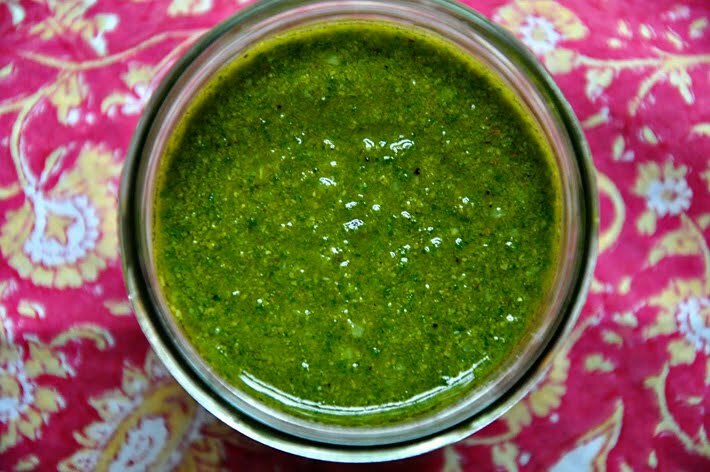 Pesto freezes really well & can be thawed & re-frozen...so, you can use a bit & stick it back in the freezer. 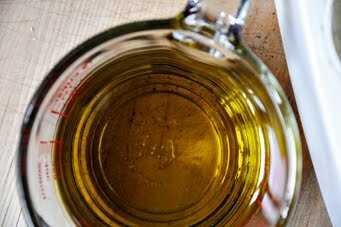 Be sure to pour a thin layer of olive oil on top of whatever you store, whether refrigerating, or freezing. This helps keep the air off the surface, which will turn your pesto brown. I use BFC's recipe & I don't change a thing...it's perfection. 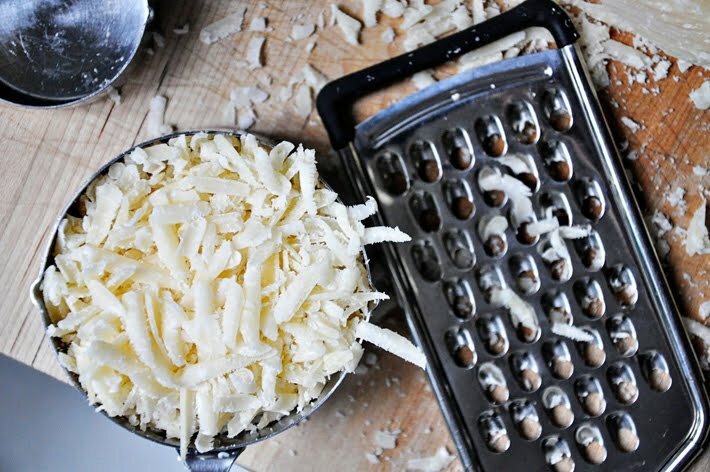 and grate 1 cup of good-quality Parmesan. 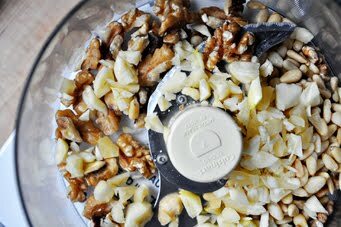 Pour a 1/4 cup of walnuts, a 1/4 cup of pine nuts & the garlic into the bowl of a food processor fitted with a steel blade. Process for about 30 seconds. 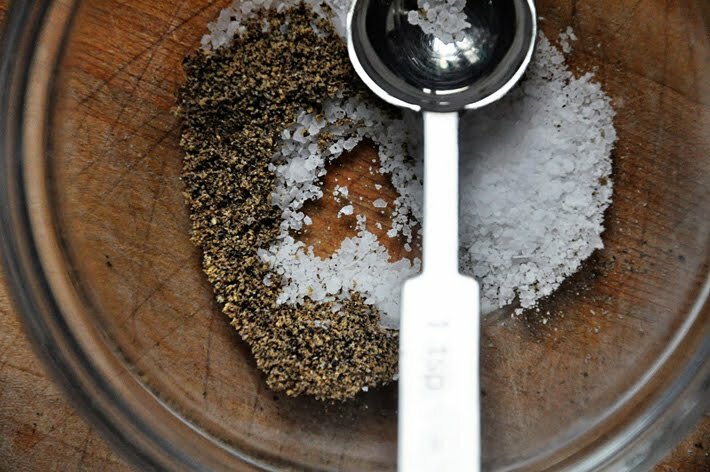 Measure 1 teaspoon of kosher salt & 1 teaspoon of freshly ground pepper. and blend a minute longer. Use right away, or store in little containers for future use. 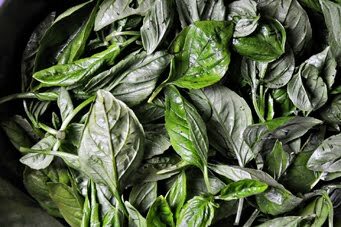 Wash the basil by swirling it around in water & then spinning it dry. 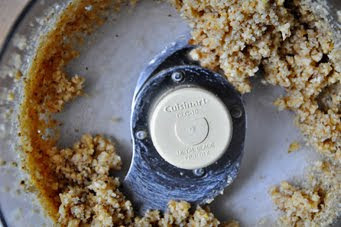 In the bowl of a food processor fitted with a steel blade, add the walnuts, pine nuts & garlic. 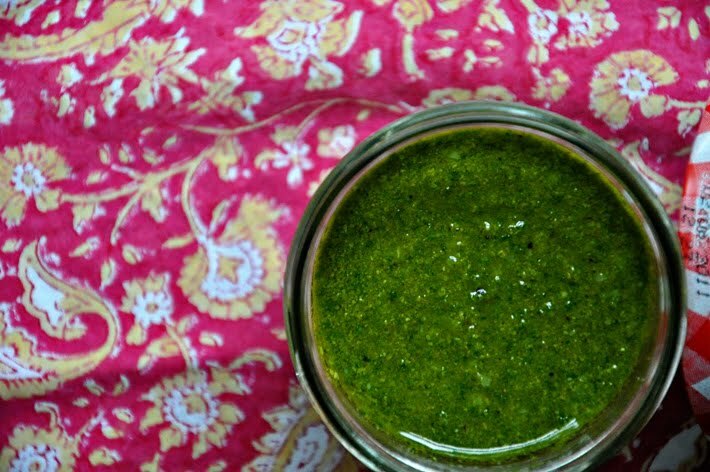 This pesto is very garlicky, so add less for less spice. Puree for about 30 seconds. 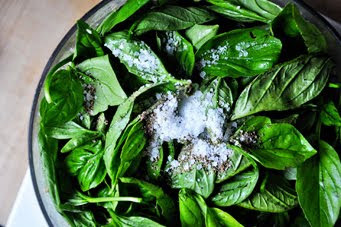 Add in the basil leaves, salt & pepper & puree until smooth. Add the Parmesan & puree a minute more. Use right away, or store in containers for later use. The pesto keeps well for a few weeks in the refrigerator, or frozen for a few months. 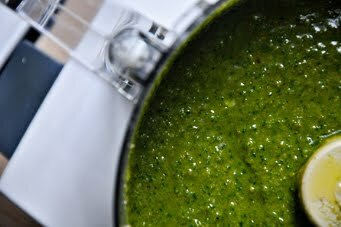 Once in containers, drizzle a bit of olive oil on top to create a barrier against air, which will turn the pesto brown. I love this pesto in my pasta. Adding it a simple yet delicious pesto pasta is ready. 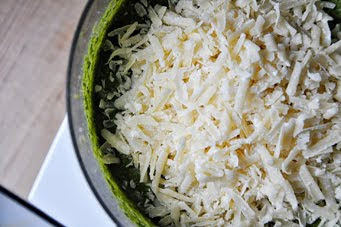 Pesto gives a distinct taste and makes the pasta really yummy. i hope bfc doesn't stand for what i think it does...emily??? I am making this today. I will let you know how it turns out. Thanks parsley thief!